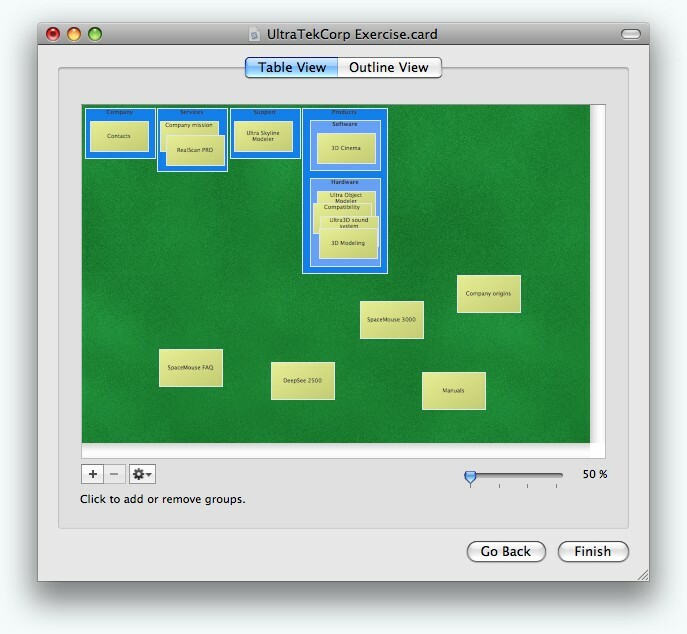 Online card sorting tool preferred by information architects. 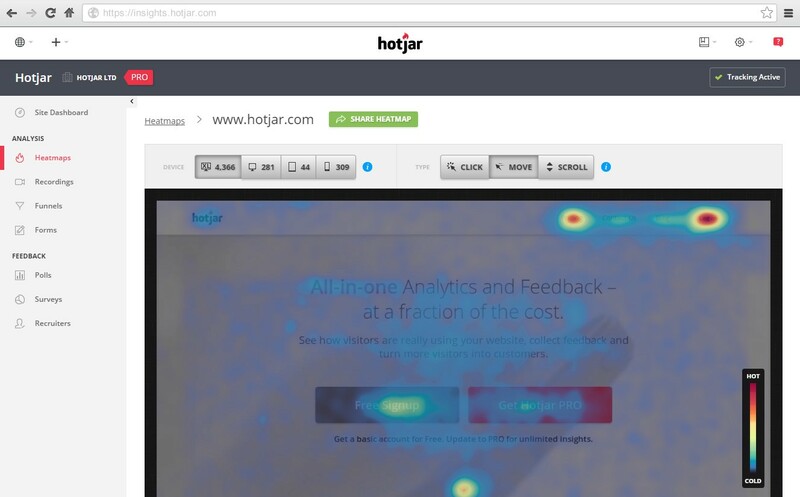 Usability testing tool you can use to test your IA without visual distractions. 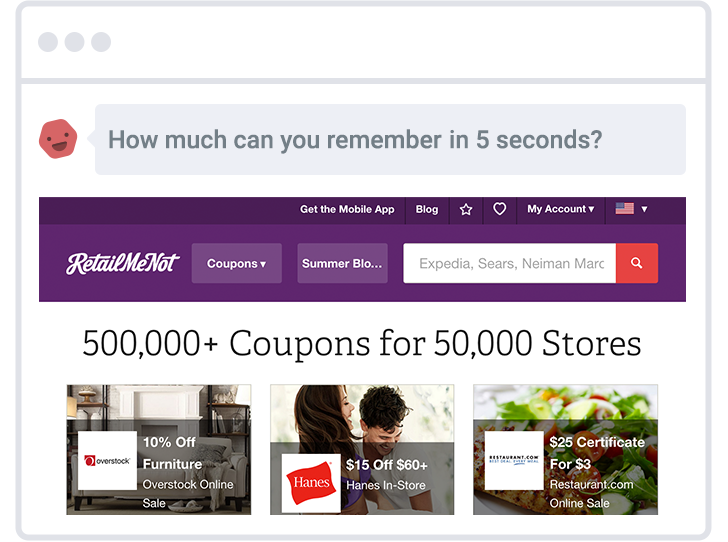 Build mobile friendly, next-generation online forms, surveys, quizzes, landing pages. 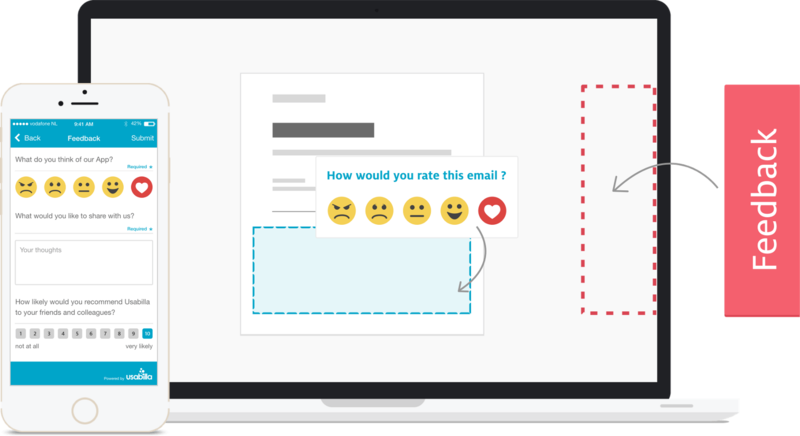 User Interviews is the fastest way to recruit participants for product tests and market research. 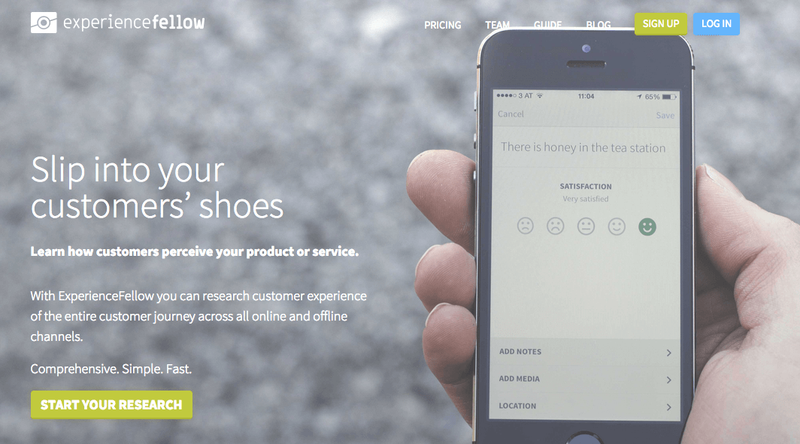 Slip into your customers’ shoes, research customer experience of the entire customer journey in real-time — across all online and offline channels. 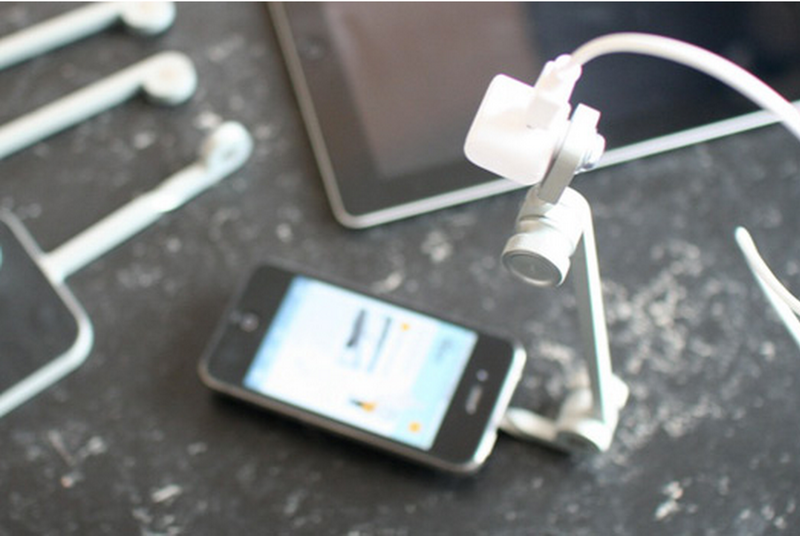 Good solution for for mobile diaries, insight communities and bulletin boards. What is Netnography? 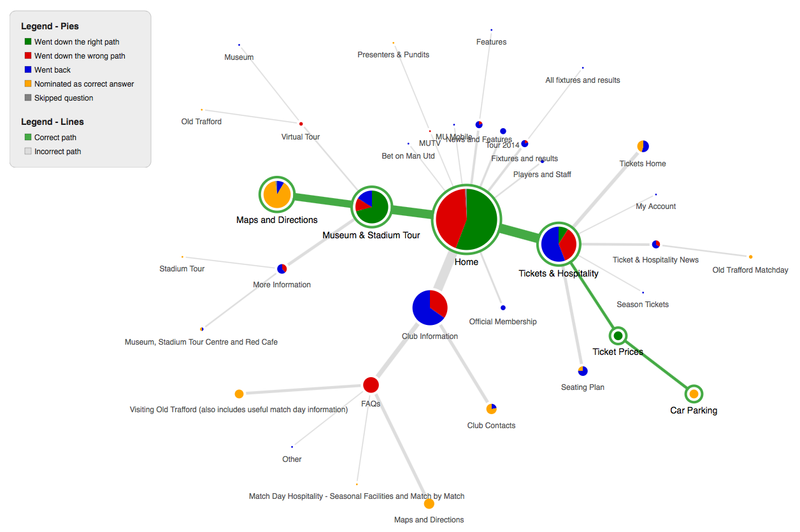 In Netnography, online observations and interactions are valued as a cultural reflection. 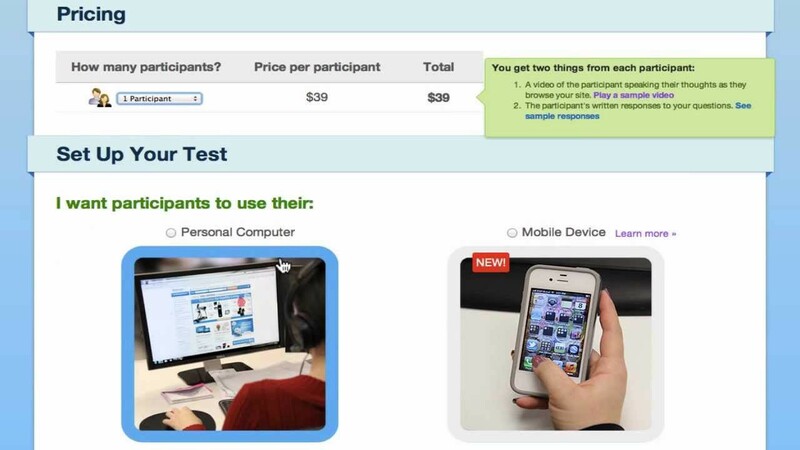 Usability testing software developed by TechSmith. 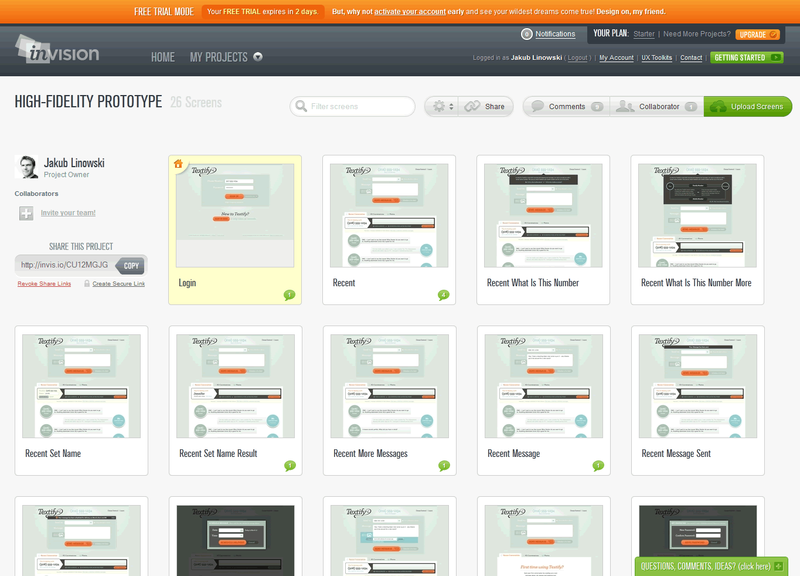 Get videos of real people speaking their thoughts as they use websites, mobile apps and prototypes. 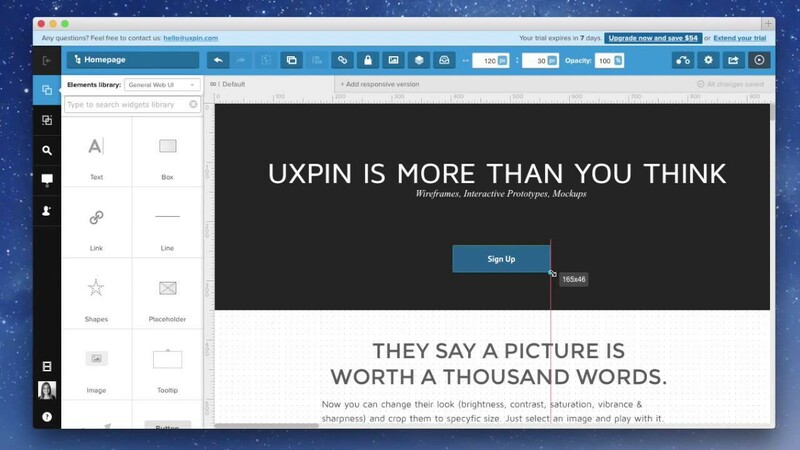 Optimize the clarity of your designs by measuring people’s first impressions. 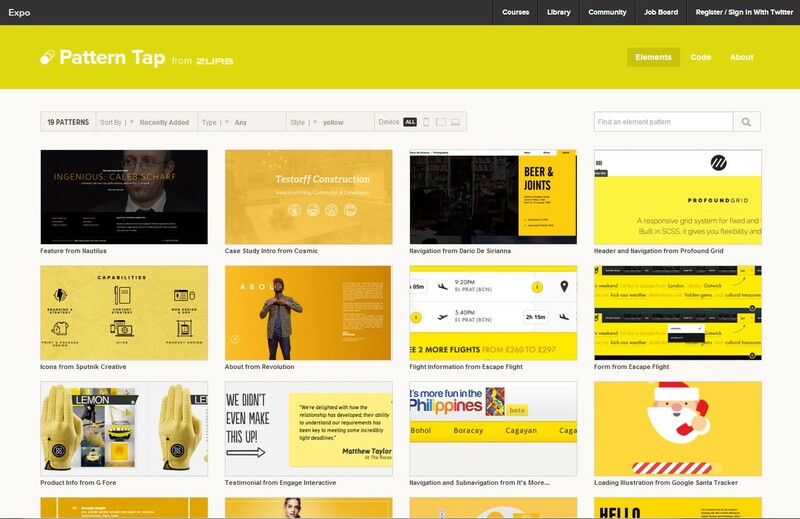 Mr. Tappy — Mobile UX research made easy. 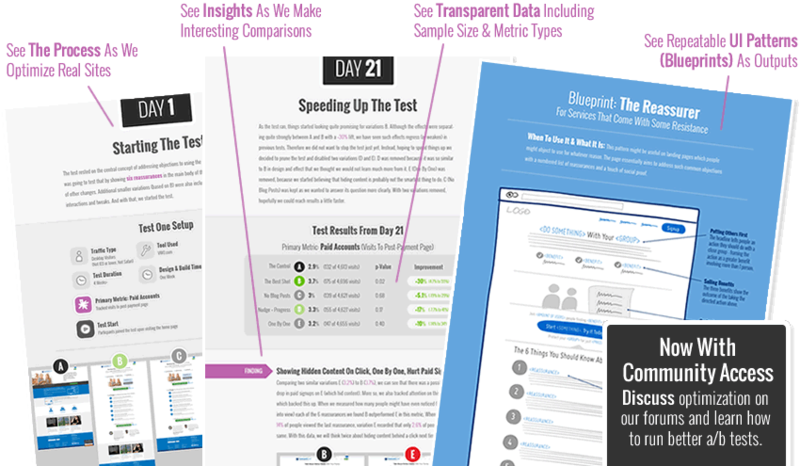 Best results come from testing no more than 5 users and running as many small tests as you can afford. 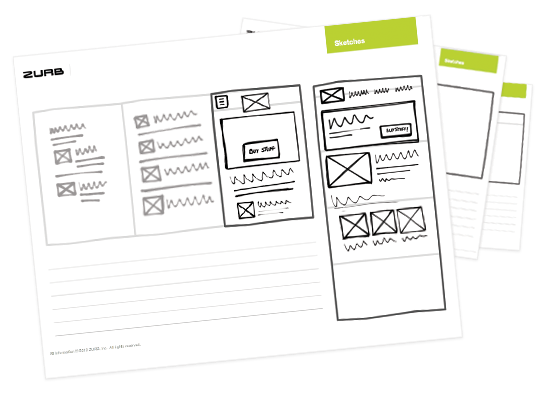 Sketching and wireframing are a specialized style of drawing, used for fleshing out preliminary complex ideas, group brain-storming, a lo-fi method for evaluating interaction concepts, and as a way of roughly perfecting a design technique. 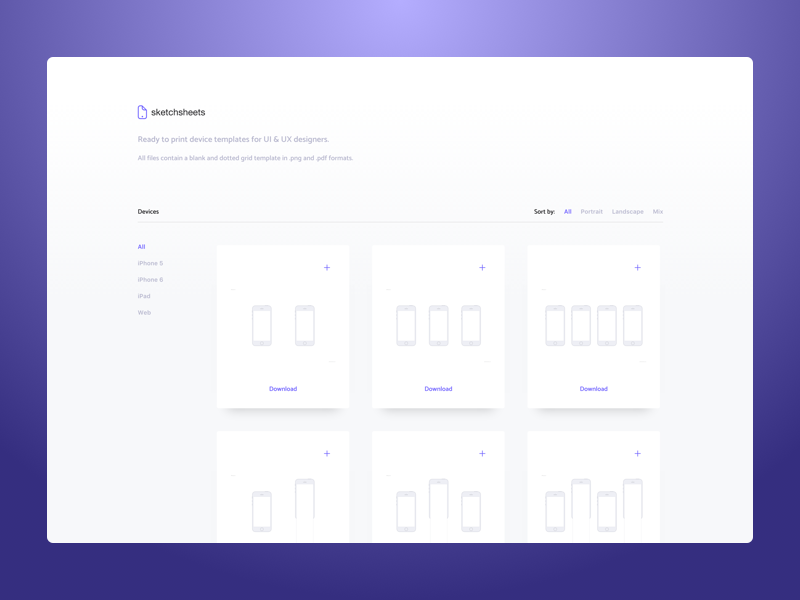 Online Mockup, Wireframe & UI Prototyping tool for creating high fidelity, resolution independent SVG mockups and wireframes. 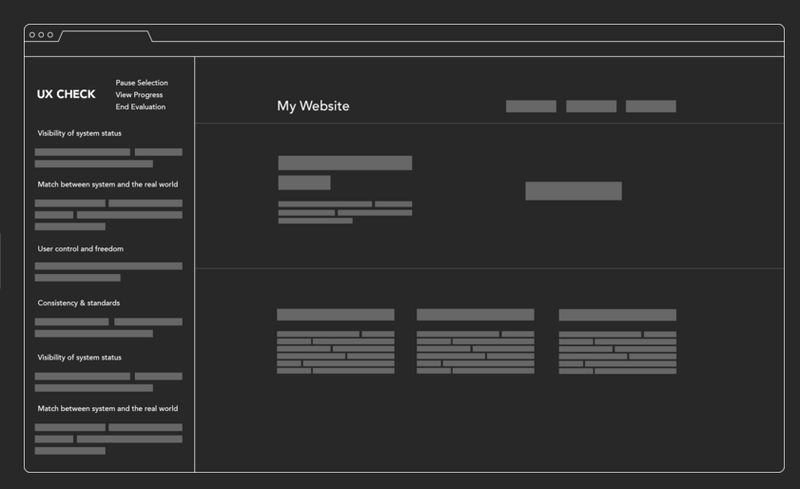 A wireframing and mock up tool with a high focus on usability. 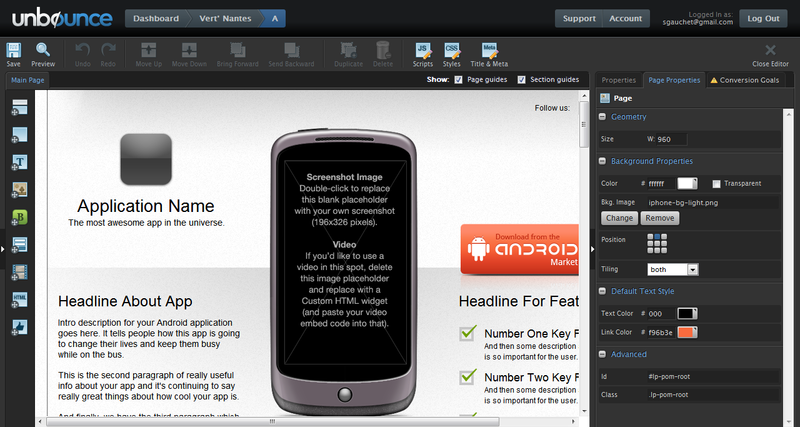 InVision transform your Web & Mobile (iOS, Android) designs into clickable, interactive Prototypes and Mockups. 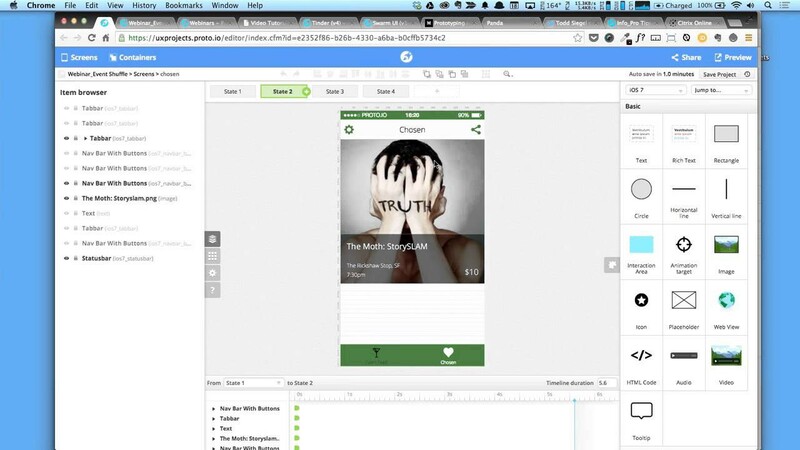 Create fully-interactive high-fidelity prototypes that look and work exactly like your app should. 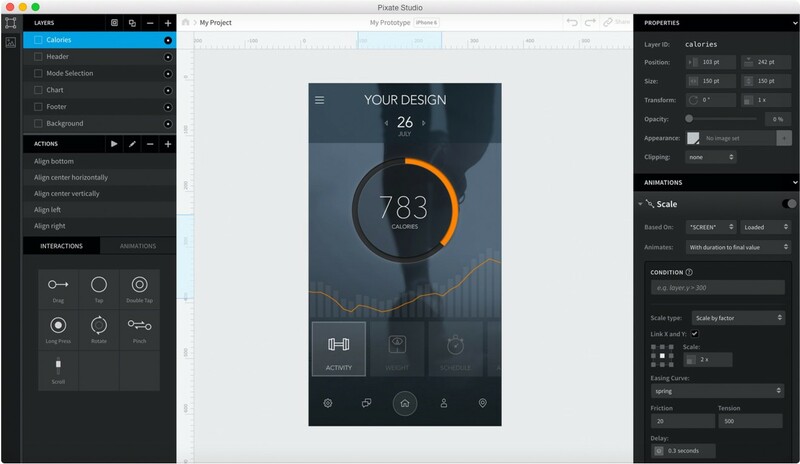 Pixate generates 100% native prototypes, so you can experience your ideas on device as if they’re completely real. 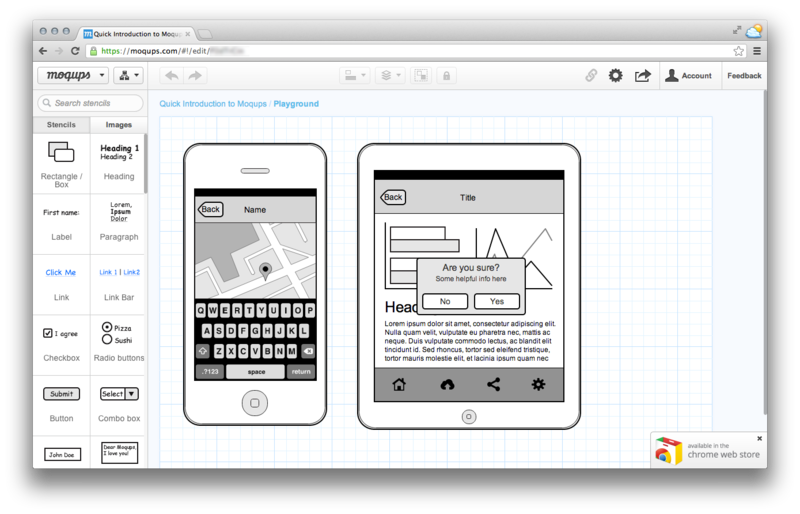 Napkee makes your Balsamiq Mockups come alive. Import a BMML and export to web or flex code in a few clicks. 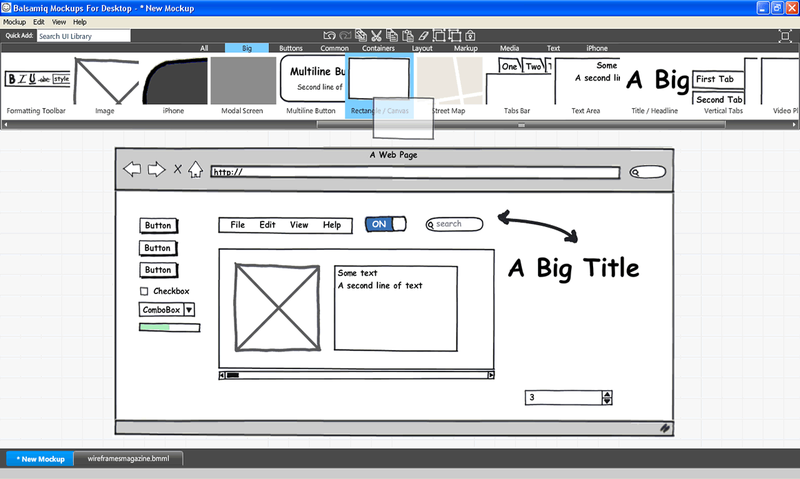 UI designer need rapid, easy-to-learn, familiar tools to animate static designs. This article shows how to use Apple Keynote to achieve just that. 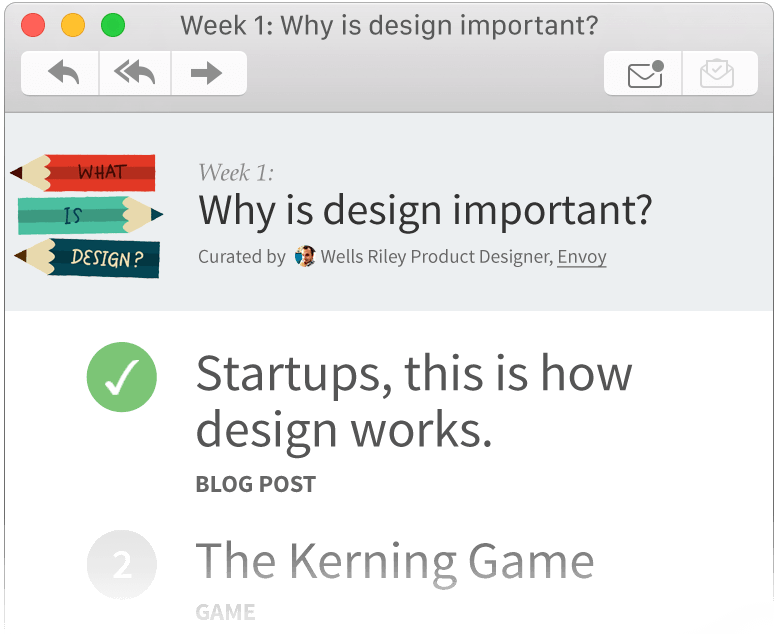 Patternry makes it simple to build style guides, design pattern libraries, complete front-end resources or anything in between. 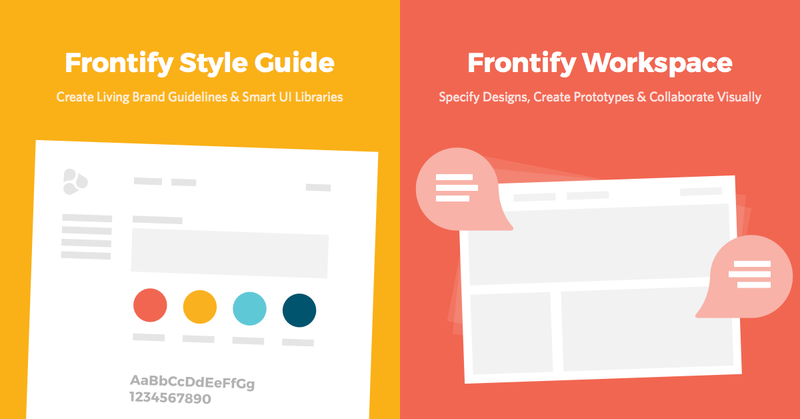 Software for brand style guides, design workflows & visual collaboration. 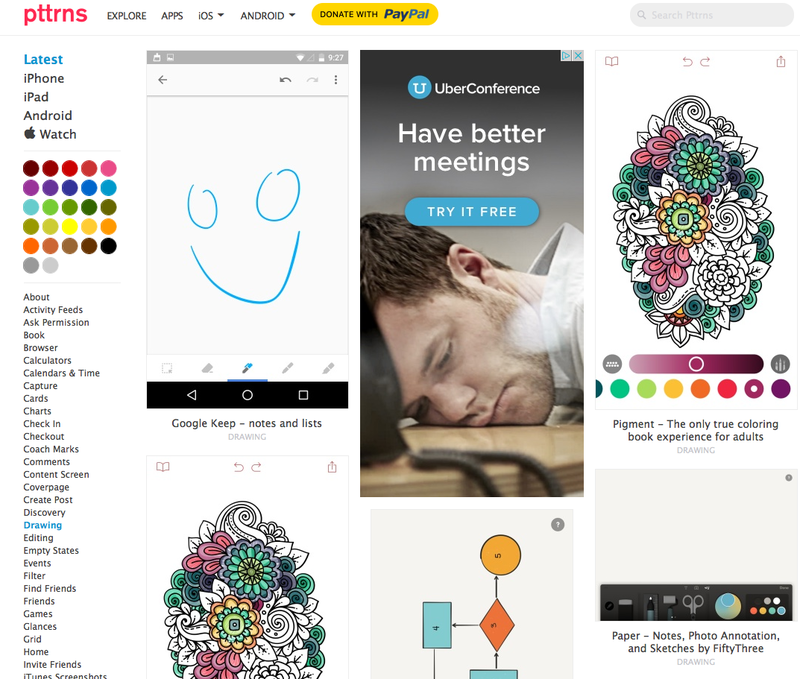 Designers’ Secret Source: all the design inspiration you need. 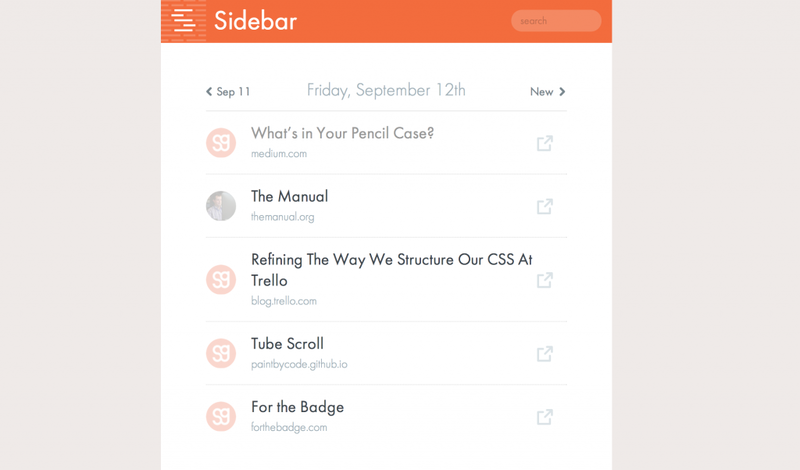 Panda makes it easy for designers, developers and entrepreneurs to discover great useful content. 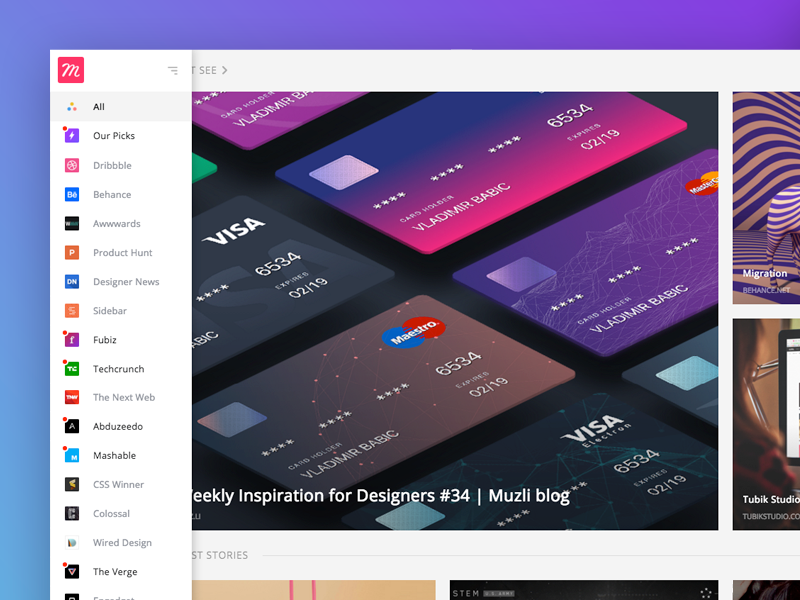 Daily dose of design inspiration. Useful resources directly to your inbox. Your weekly UX Reading List with interesting resources, published every Friday and sent directly to your inbox. 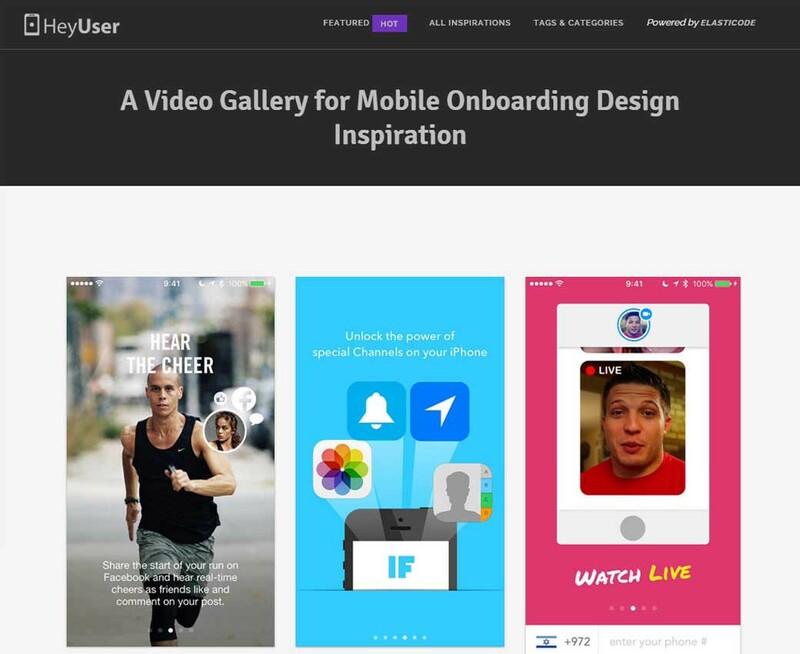 A curated list of the best user experience design links every week. 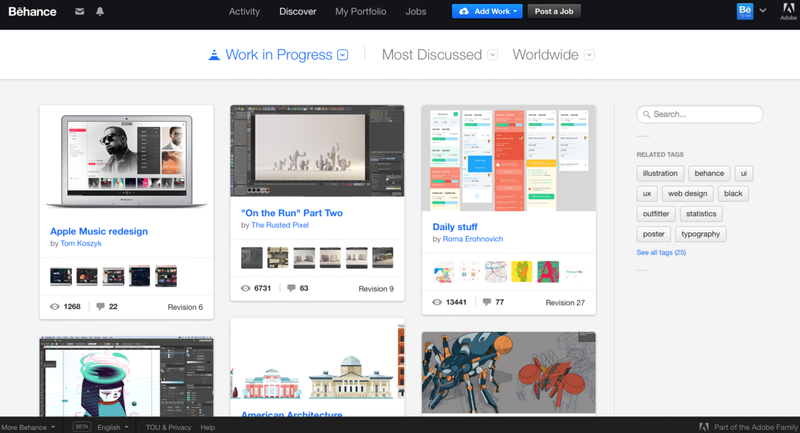 Dribbble is show and tell for designers. 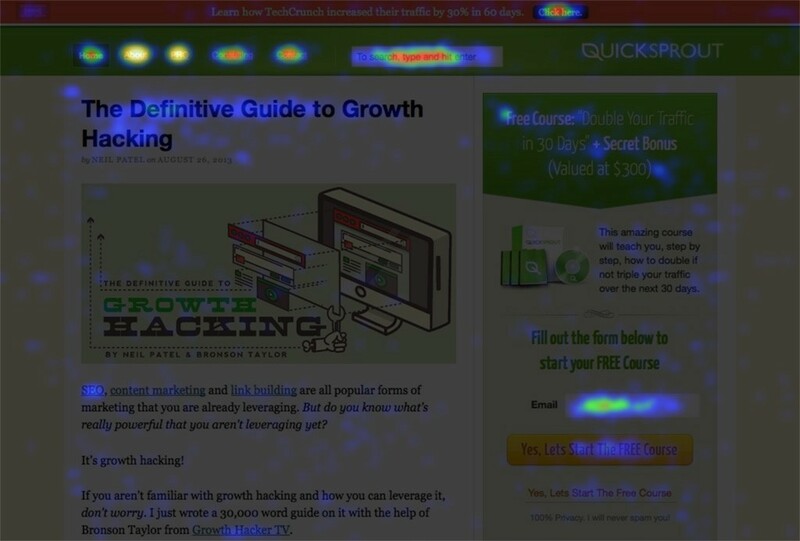 The 75+ GoodUI ideas that they are about to show you, are being actively A/B tested. 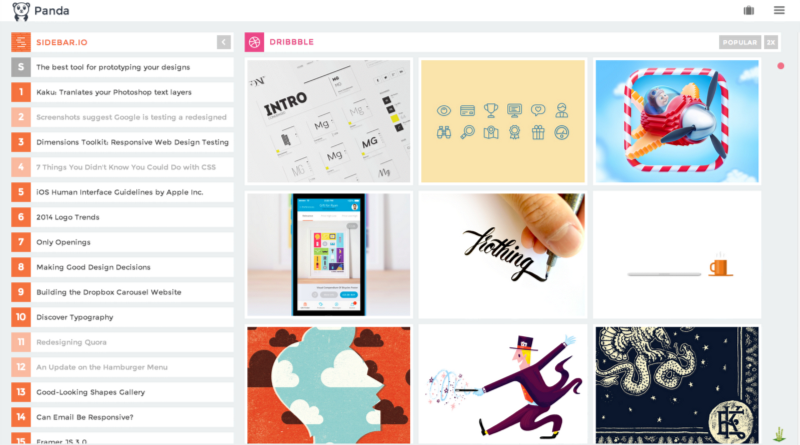 Pattern Tap is ZURB’s gallery of specific design and interaction patterns meant to inspire your design work. 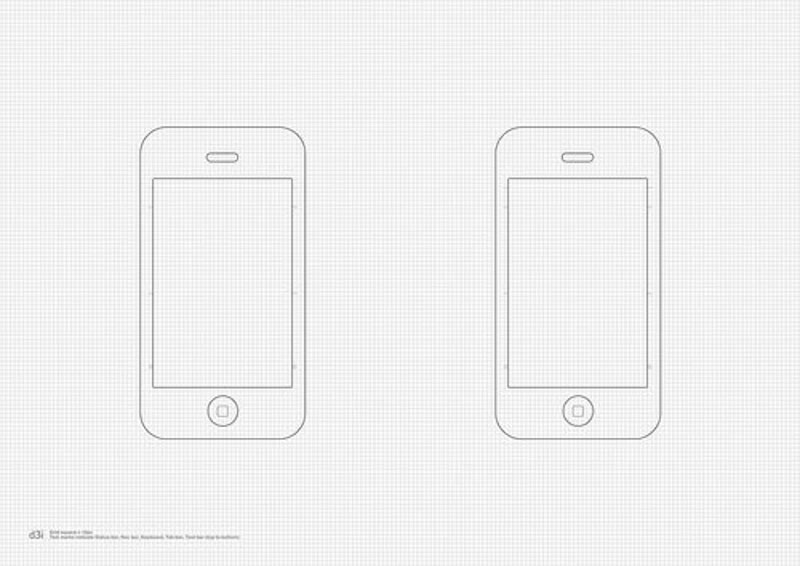 Jakob Nielsen’s 10 general principles for interaction design. 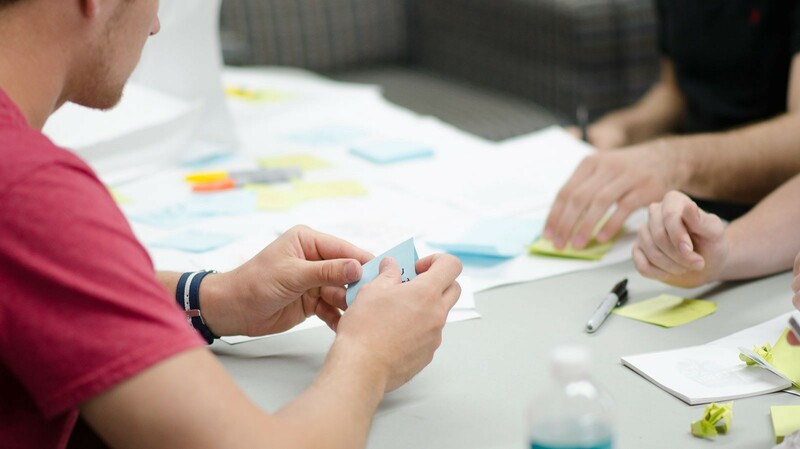 Although designing usable systems requires far more than simply applying guidelines, guidelines can still make a significant contribution to usability by promoting consistency and good practice. 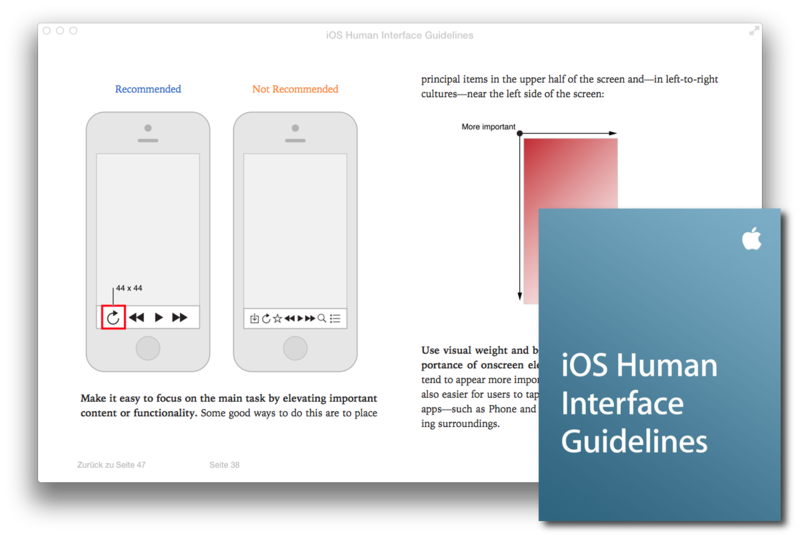 Provides guidelines for designing the user interface of an iOS app. 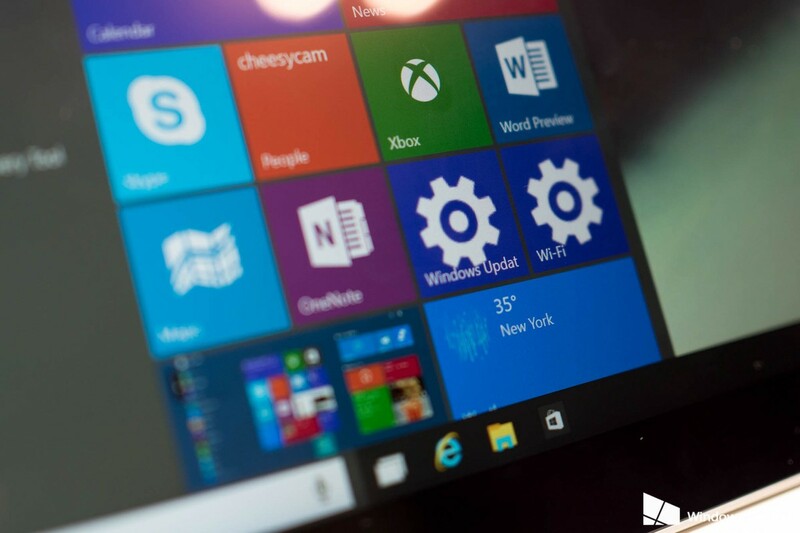 Design basics, guidelines and templates for developers and designers to invent, plan, and build UWP app. 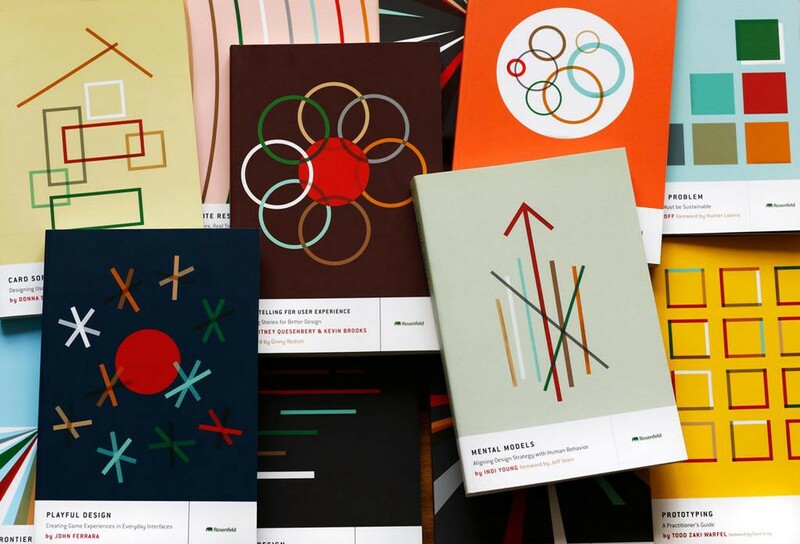 We challenged ourselves to create a visual language for our users that synthesizes the classic principles of good design with the innovation and possibility of technology and science. 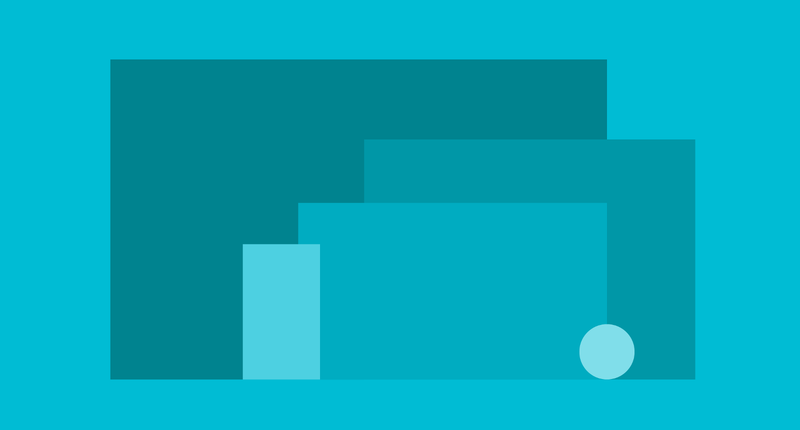 This is material design. 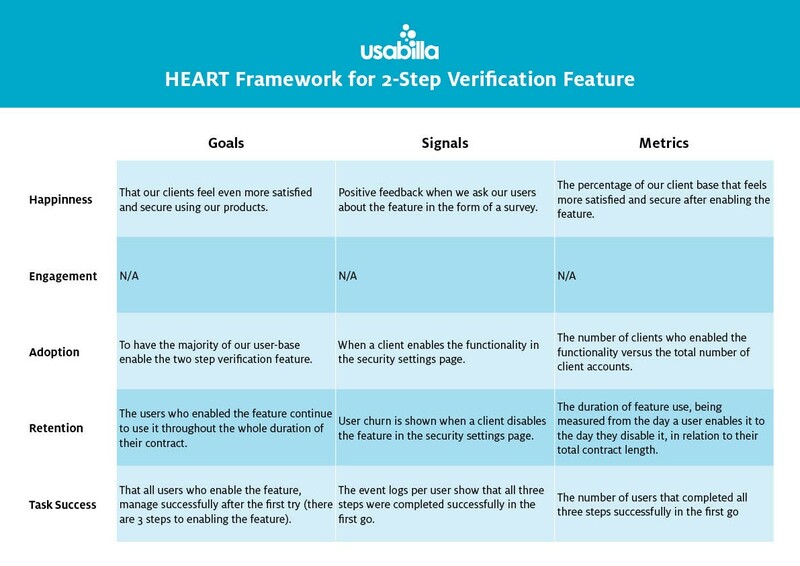 Collect user feedback and improve your websites, apps and emails with Usabilla’s Voice of Customer Solutions. 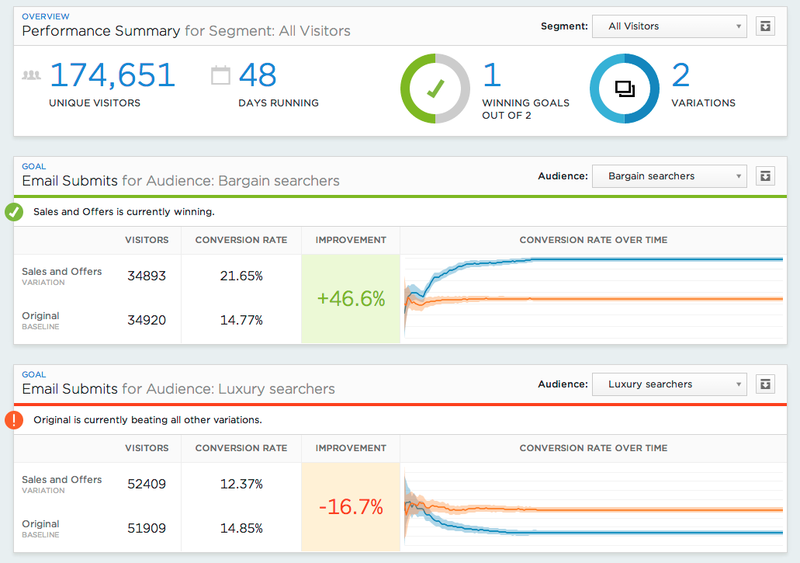 Choosing the right UX metrics for your product can be a tough challenge. The HEART framework by Google can help you proceed with confidence. SUS is technology independent and has since been tested on hardware, consumer software, websites, cell-phones, IVRs and even the yellow-pages. It has become an industry standard with references in over 600 publications. 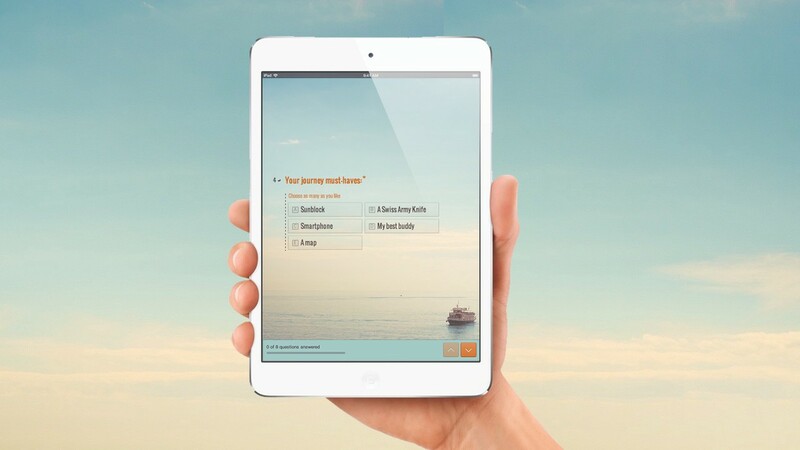 The Questionnaire for User Interaction Satisfaction (QUIS) is a tool developed by a multi-disciplinary team of researchers in the Human-Computer Interaction Lab (HCIL) at the University of Maryland at College Park. 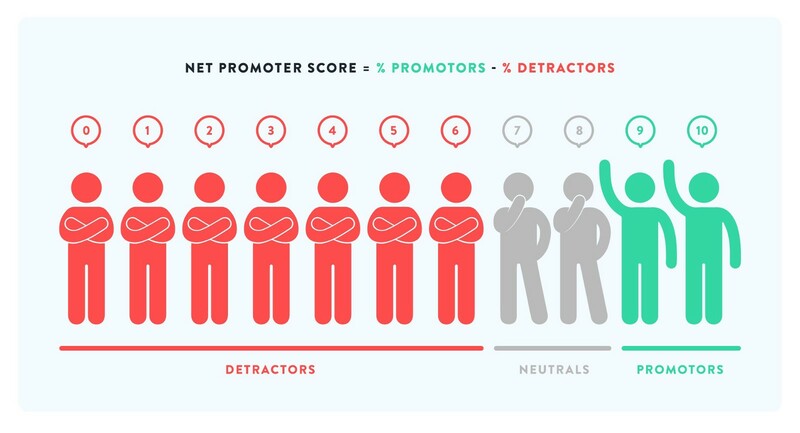 The SUPR-Q is a Rating Scale to Measure perceptions of Usability, Trust, Credibility, Appearance and Loyalty for Websites. 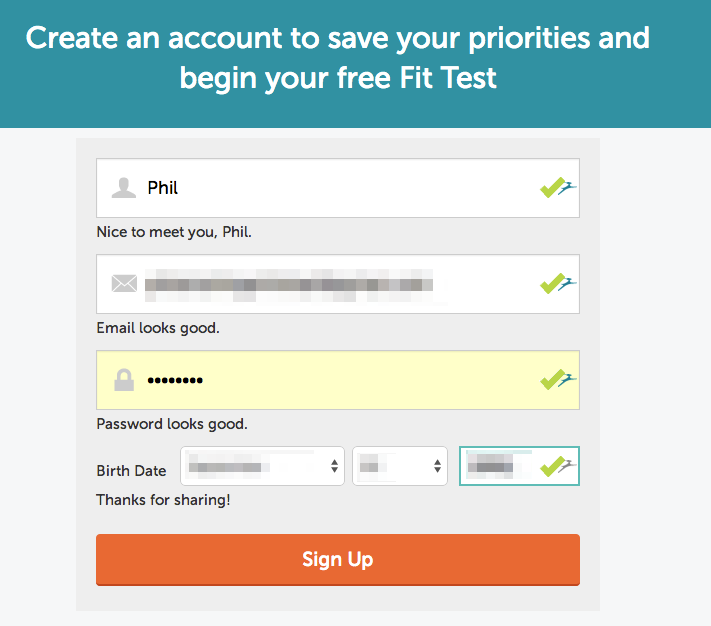 Enterprise-level A/B testing and personalization for the web and mobile apps. 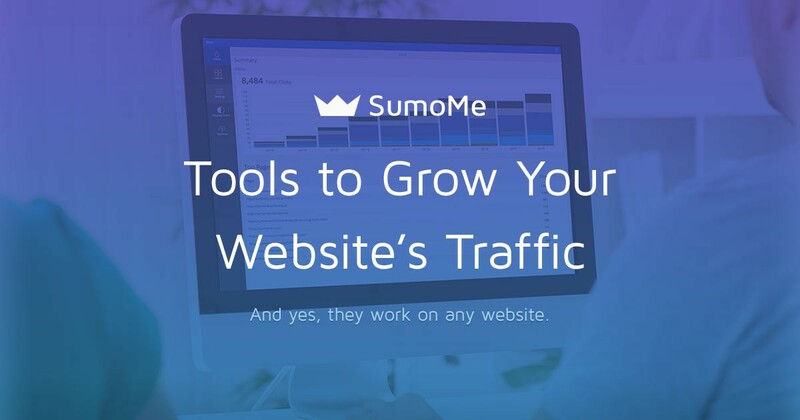 SumoMe is a suite of free tools that can be used to grow website’s traffic. 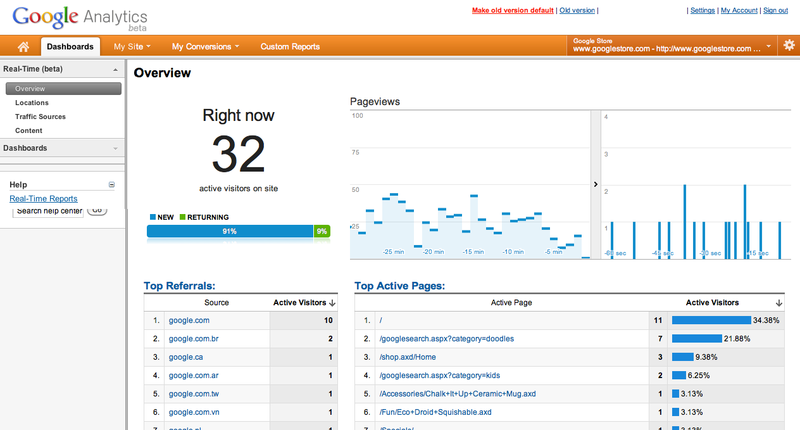 Google Analytics is filled with very useful information for UX Strategists defining a baseline and tracking trends in order to define goals, strategies, and concepts for a brighter tomorrow. 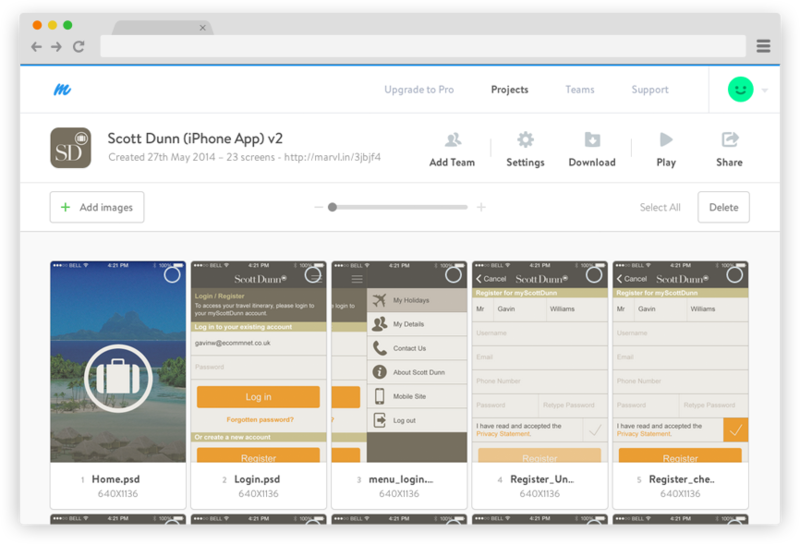 Appsee supplies a crystal clear, visual picture of your users’ experiences from beginning to end on mobile devices. 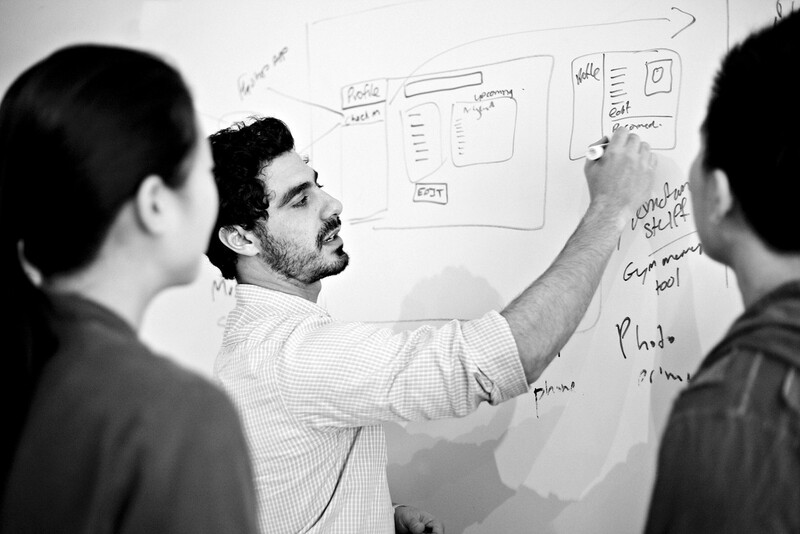 Learn UI/UX design through hands-on projects and 1-on-1 mentorship from expert designers. 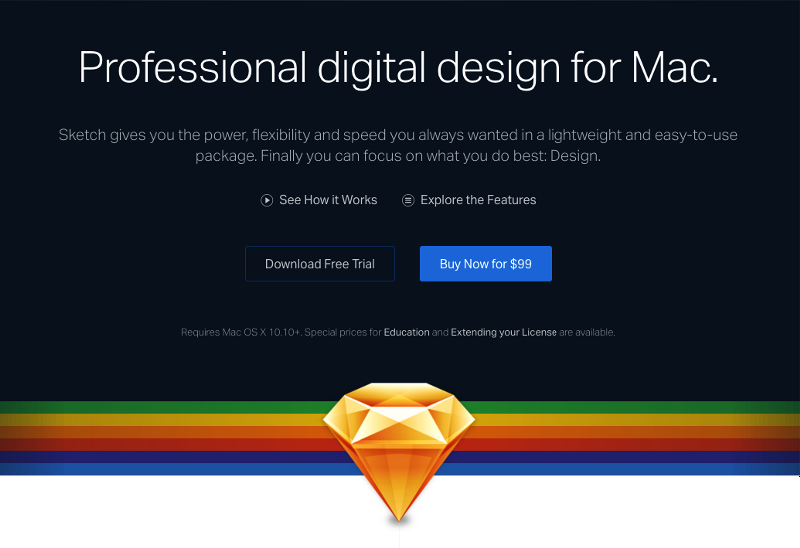 Add design to your resume and level up your career. Learn the key principles and most powerful techniques. 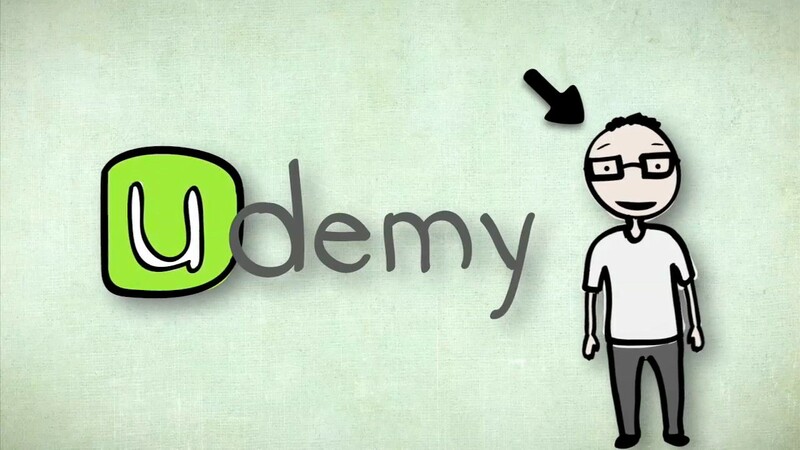 Build your skills and expand your knowledge with expert-led training. 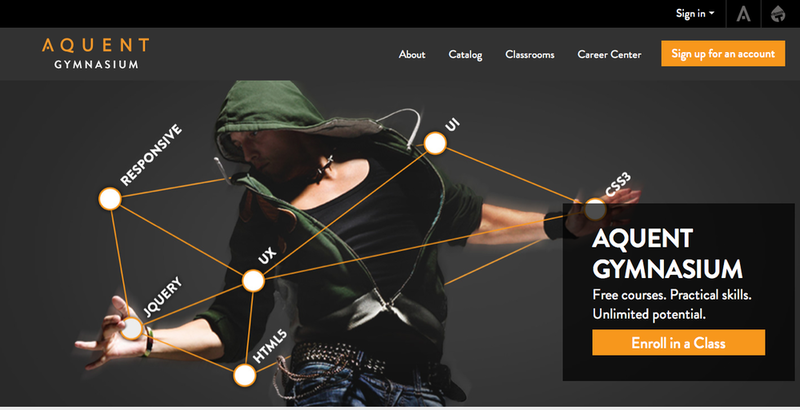 Get a course or nanodegree including UX courses. 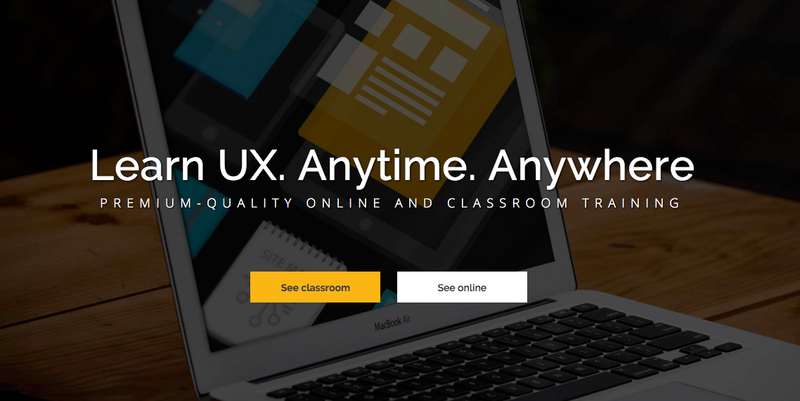 Joel Marsh created an User Experience course including 31 daily lessons. 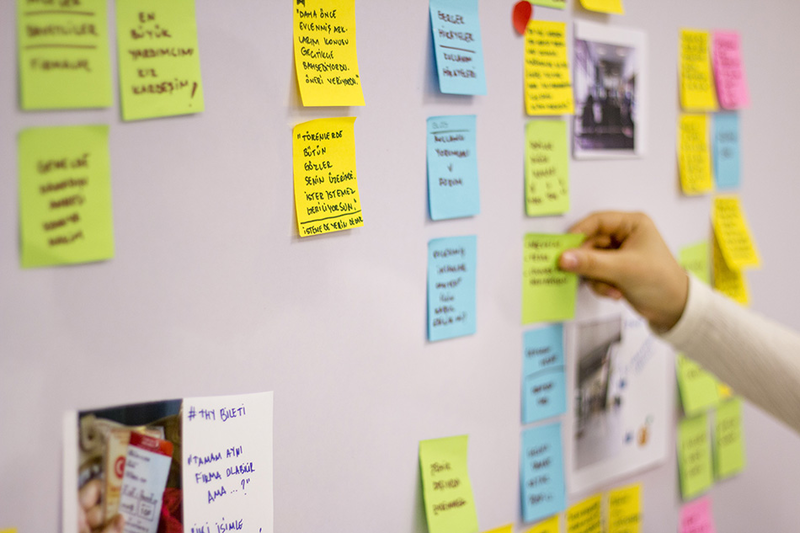 Learn how to apply user-centered design principles to improve your website and mobile app design. 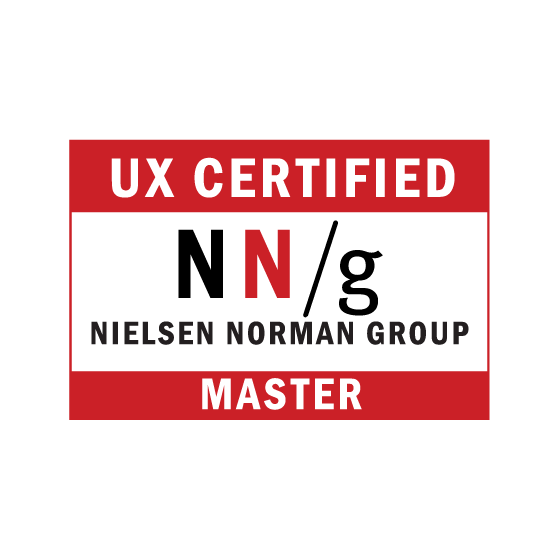 NN/g UX Certification both provides a solid foundation and enhances existing knowledge and practical skills in UX design and research. 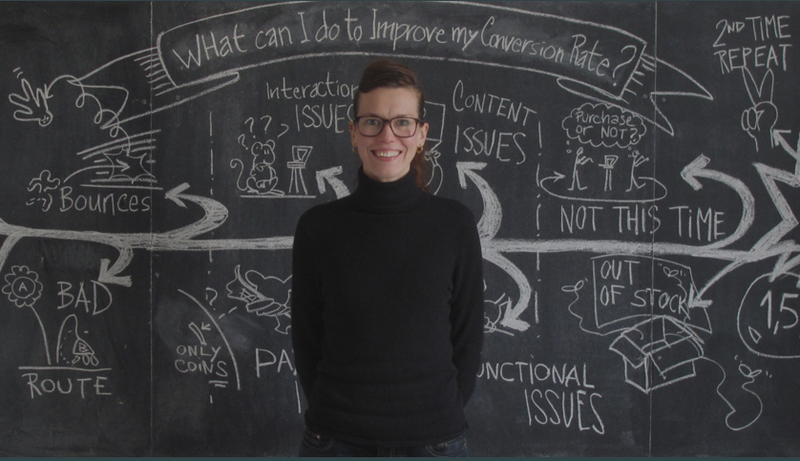 HFI offers a variety of UX training courses and two certification tracks for both new and advanced practitioners. They love brain science, research, and economics. 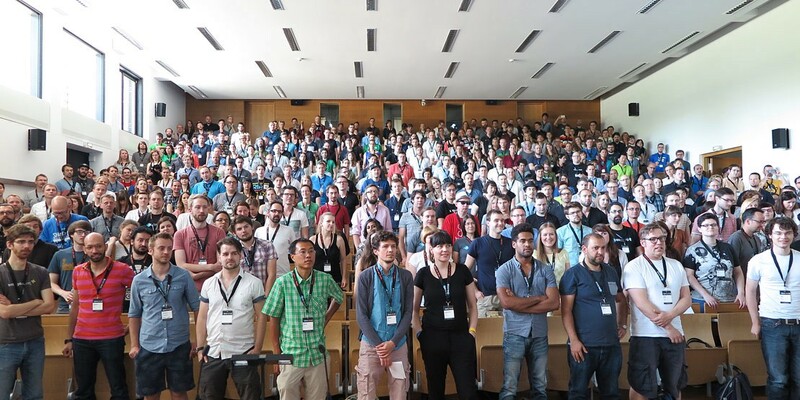 For two days UXcamp Europe will host around 500 international UX professionals from diverse UX disciplines. 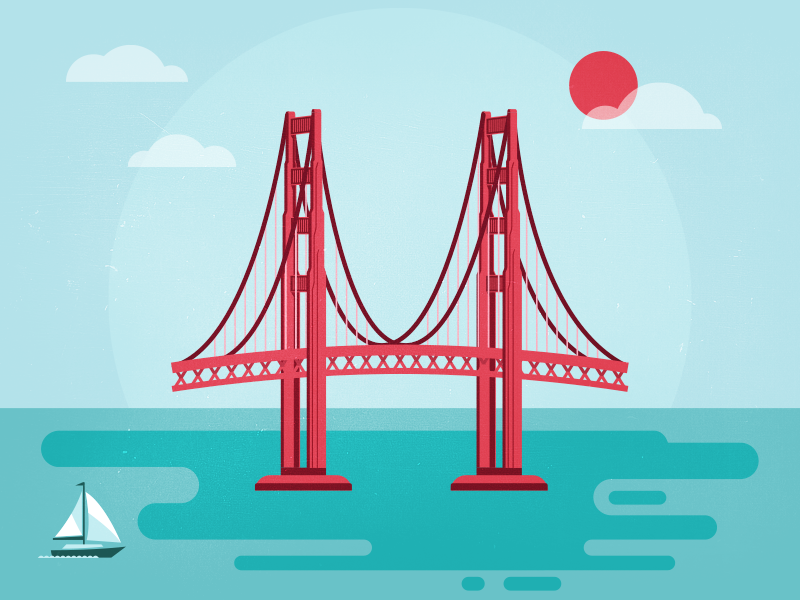 Here’s our list of user experience conferences that can’t be missed in 2016! 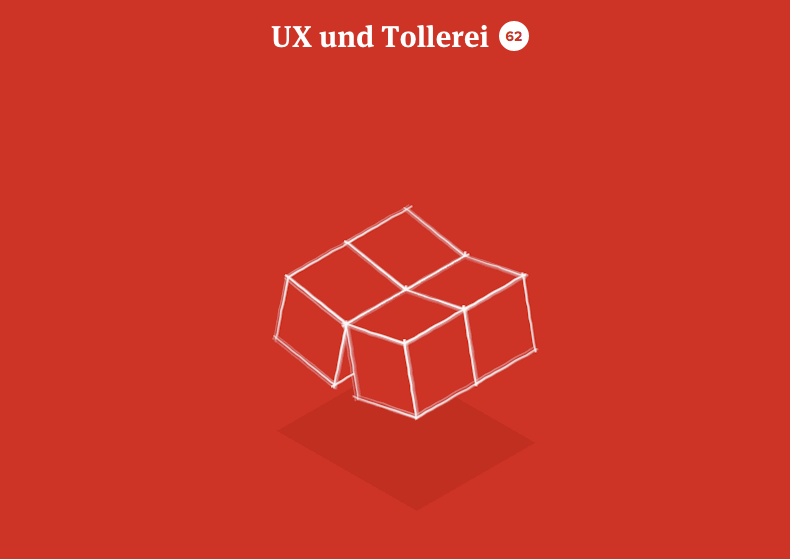 Upcoming user experience (UX) conferences including design, usability and UI. 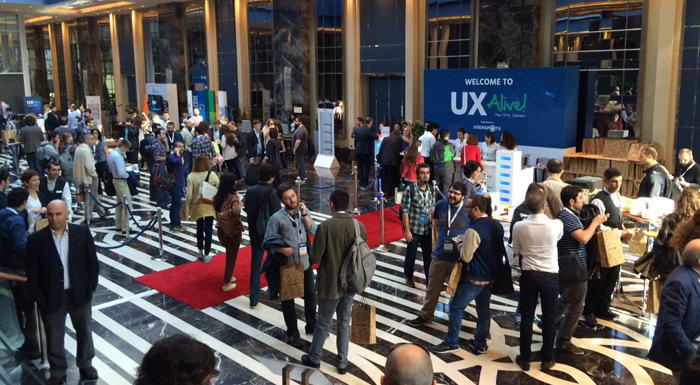 A unique UX Conference experience in the most authentic city, İstanbul, Turkey. 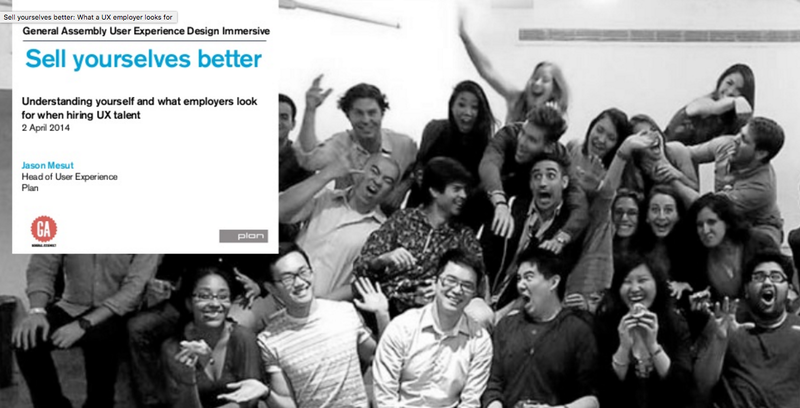 4 days of training and inspiration for UX Pros. It’s its application-oriented, economic and holistic approach that makes the World Usability Congress one of a kind on a global scale. 501 videos for designers from 67 conferences. Since Don’t Make Me Think was first published in 2000, hundreds of thousands of Web designers and developers have relied on usability guru Steve Krug’s guide to help them understand the principles of intuitive navigation and information design. 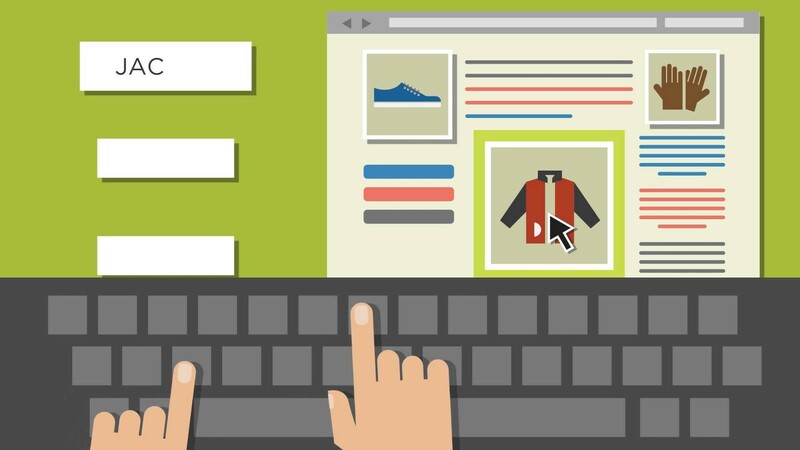 Why do people decide to buy a product online? Register at your Web site? Trust the information you provide? 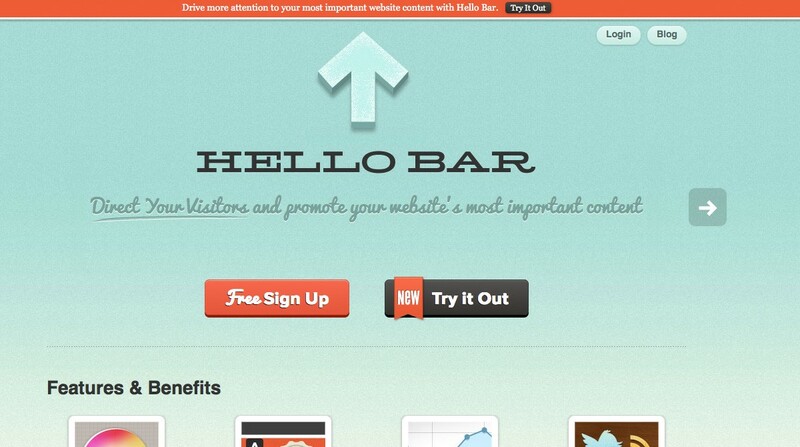 Neuro Web Design applies the research on motivation, decision making, and neuroscience to the design of Web sites. 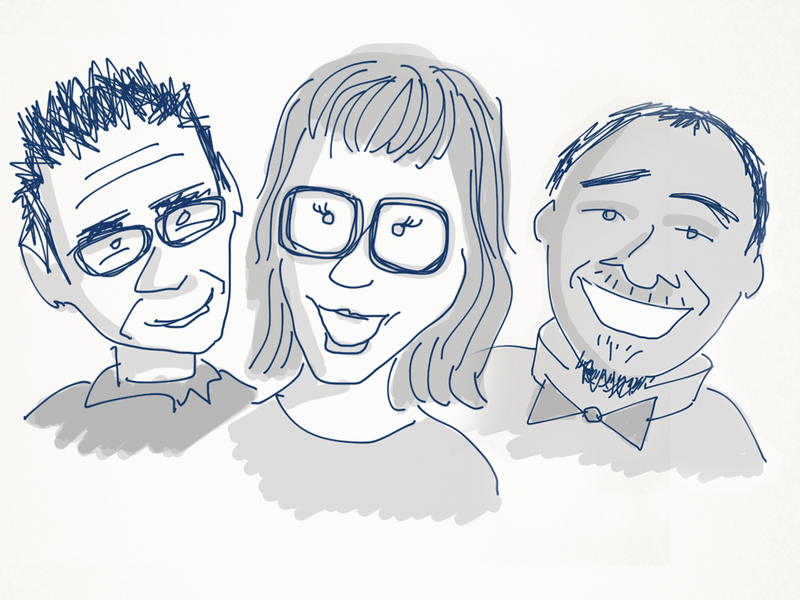 Join UX Book clubs near you!